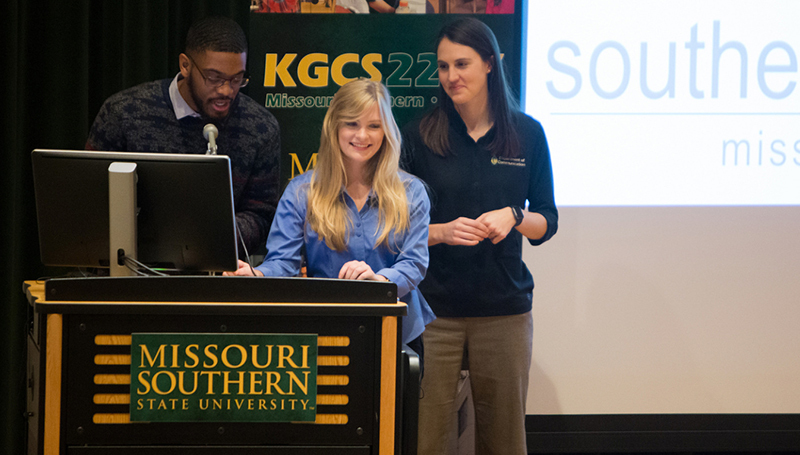 The 21st annual Southern Media Showcase will be held Thursday, Dec. 7, on the Missouri Southern campus. More than 450 print and video entries have been received from high-school students in Southwest Missouri and Southeast Kansas. Activities will kick off with a program at 9 a.m. in Webster Hall’s Corley Auditorium. Guest speakers will be Southern alumni Phil Cross and Rick Rogers will make presentations during the program. Cross is an Emmy Award-winning investigative news reporter at Fox 25/KOKH TV in Oklahoma City. He has worked at television stations in Iowa, Kansas and Missouri. While at Missouri Southern, he produced programming and served on the student staff of KGCS TV. Rogers is vice president at TownNews.com, the media industry’s leading content management system and digital service provider to more than 1,700 media partners in the U.S. and beyond. He has worked at community newspapers and local television stations. He was an editor of The Chart while at MSSU. Supporters of the event include the Ruth I. Kolpin Foundation, the Missouri Broadcasters Association, the Missouri Press Association, the local chapter of the Society of Professional Journalists, KOAM-TV and the MSSU Admissions office.